Global Federation Of Animal Sanctuaries Accredits First Donkey Sanctuary In U.S.
group of animals to receive the accreditation. The hurdles that Longhopes had to cross included site visits, a review of their ethical standards and finances, and a close look at the staffing, safety, and security of their operations. The facility has rescued more than 600 donkeys, 90% of which have been adopted into new homes. Just like dogs and cats, there are more donkeys in the country than there are loving and caring homes for them. Longhopes rescues donkeys from dire situations in which the animals are often starved or uncared for and rehabilitates them back to the health and happiness they deserve. Once they are back in the pink comes the time to find them their "forever" home. Longhopes is a "no kill" facility, although they will do euthanasia in cases where it is the only humane measure they can take for the animal. 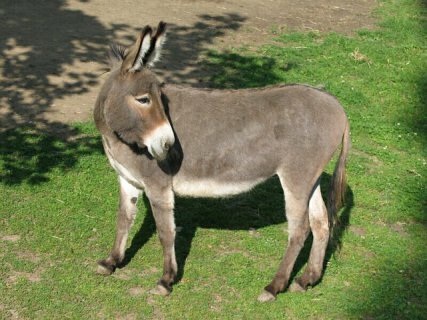 They do not believe in breeding more donkeys until all donkeys in need have a good home. The shelter also received a grant from GFAS to assist them in making recommended improvements. This compliance grant was made possible by PetSmart Charities®. Man Busted For Attempting To Sell Alligator Via Craigslist!